If you want to do it right, you need a Logitech G Shifter with the Logitech G29 racing wheel. That's why we sell them in this bundle! Experience racing games the way they are meant to be with the newest Logitech G racing wheel and shifter for PlayStation 3, PlayStation 4 and PC. Revel in the white-knuckle, hair-raising turns as you feel the tires lose traction and gleefully fly over every bump in the road. Custom dual-motor force feedback accurately simulates realistic racing action that will leave you breathless well past the checkered flag. Thanks to smooth and quiet helical gears – similar to ones used in car transmissions – you can enjoy the power of force feedback without the road noise. This wheel and shifter are made with high quality, solid materials for the best, long lasting racing experience! Once you've tried the Logitech G29 driving force, you'll never want to use a regular controller again. 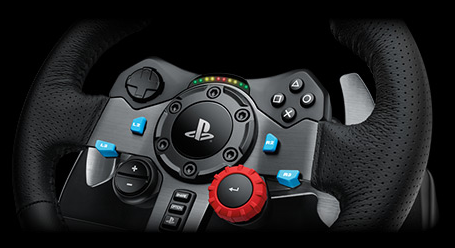 The G29 game steering wheel is designed for the latest racing games for Sony PlayStation. The Logitech G29 Driving Force is ofcourse also compatible with PC. Realistically simulates the racing experience with smooth, quiet helical gearing thanks to the powerfull dual-motor force feedback. Because of the simulated force effects you'll feel your wheels in every turn and type of terrain. With the Logitech G29 you'll also sense under- or over-steer drifting and more. Because of this you can respond with perfect precision. Gives you even greater control over your car’s setup. Built-in mounting clamps and bolt points keep wheel securely in place. Responsive brake simulates pressure-sensitive brake system. You get an exceptionally smooth, quiet steering action. 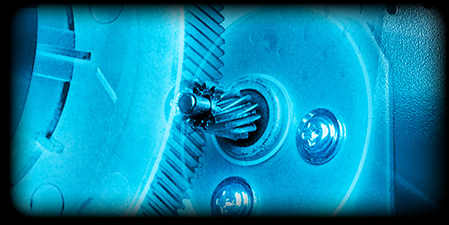 Helical gears are modeled after gears used in automotive transmissions to reduce unwanted noise and vibration. Anti-backlash keeps the wheel and pedals tight, maximizing your control. Know at a glance exactly when to shift to the next gear. Take a grip and enjoy the sensation and comfort of a real leather racing wheel gliding beneath your hands as you speed around the track. Don’t worry about the stress placed on the wheel; it’s designed to take it. From solid steel ball bearings in the wheel shaft to quality construction throughout, G29 will provide superb performance and long-term reliability for every race. The Driving Force Shifter is designed for the Logitech G29 and Logitech G920 Driving Force racing wheels, to enhance the latest PC and console racing titles. Add Driving Force Shifter to your racing wheel setup to complete your racing rig for a more realistic experience. 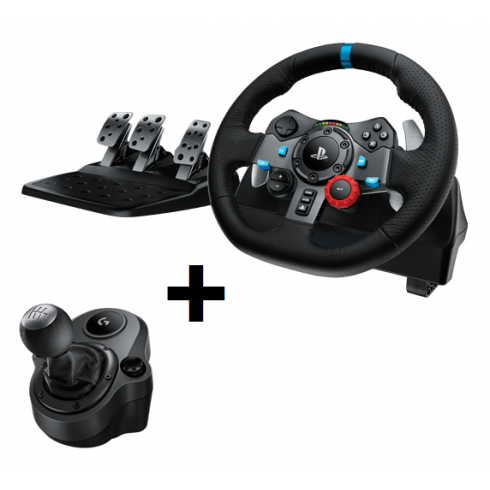 The Logitech G29 racing wheel and Logitech G Shifter are compatible with PlayStation 3, PlayStation 4 and PC. For the ultimate racing experience, you should combine the Logitech G29 and shifter with a Playseat® racing simulator! Enjoy! I took my son to Lydden hill to watch the WRX and he spent most the weekend playing Dirt4 on the simulators. We decided to get the Logitech G29 as it was the one he had been using on the sim. Excellent wheel and easy to set up. I have tried it and find it amazing. I hadn't used one for years because I didn't find them realistic, but this is amazing and gives you great feedback. 5 stars!! I have had logitech wheels for years, durable and well made. Amazing with the ps4! The G29 is the first wheel that I have bought. So far it looks great, comfortable and fun, feels like real driving. Easy to get used to, after a few tries. I bought it for my son who used the wireless controller on ps3 which I never fancied to use and play, but with the wheel its different since I love racing, much more fun. Very good customer service as well. After reading some mixed reviews I made sure to test the Logitech G29 first, but I wasn’t disappointed in any way, so I decided to buy it and have been racing quite a few hours on PS4 with the G29. It’s a very solid product, with smooth force feedback. You immediately feel the difference in quality with cheaper wheels. As far as I am concerned you pay a little more, for a lot more quality, so definitely a good deal! I would recommend this wheel to everyone that likes the GT or G27, because the G29 is a very nice upgrade!